As you step inside Yayoi Kusama’s “Infinity Mirror Rooms, reflections of dots, colors and light bend reality. The much-anticipated exhibition, “Yayoi Kusama: Infinity Mirrors,” opens Saturday at the Cleveland Museum of Art. 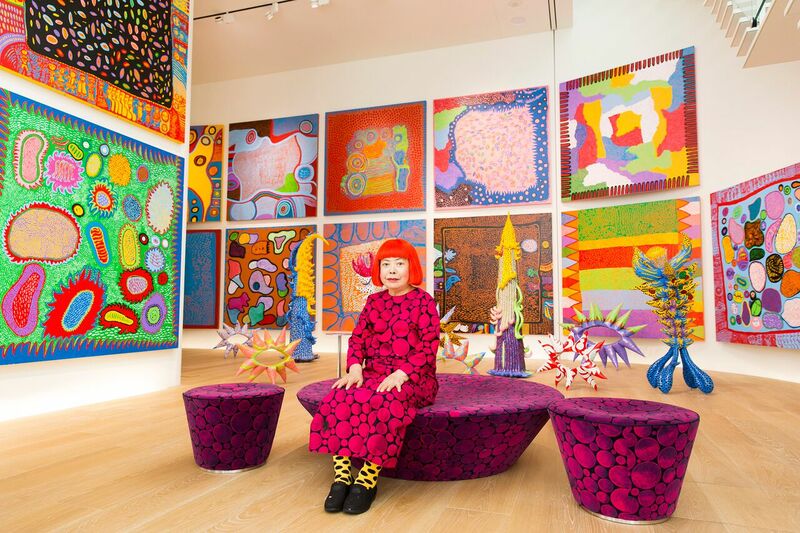 While photos of the artwork on social media recently propelled Kusama’s popularity, she has spent a lifetime creating and continues working at 89 years old. This exhibit spotlights her body of work. 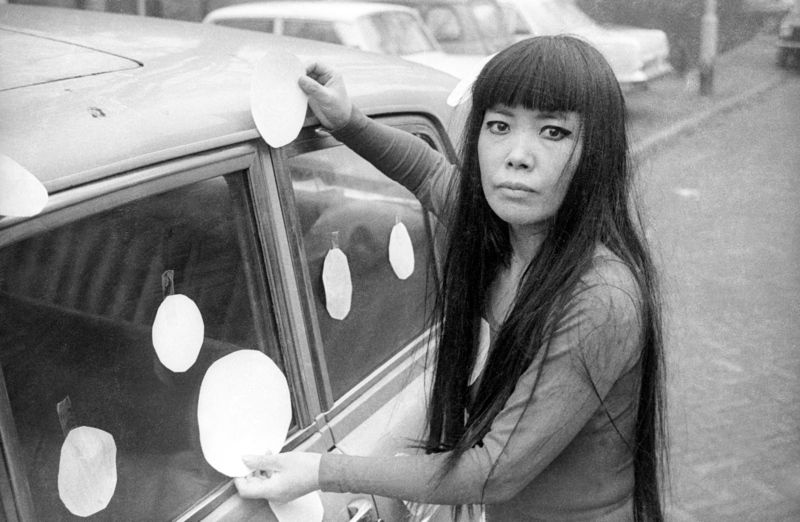 From a very young age, Kusama was determined to create, even when that put her at odds with others. She made her way to the United States in the late 1950s to pursue her art career, but that came with different challenges. “In New York, it was a man’s world, and it wasn’t easy for her to come there. She didn’t have friends there, she didn’t speak English really fluently, and so to try to break into the art world it was a big, big deal,” Lenz said. 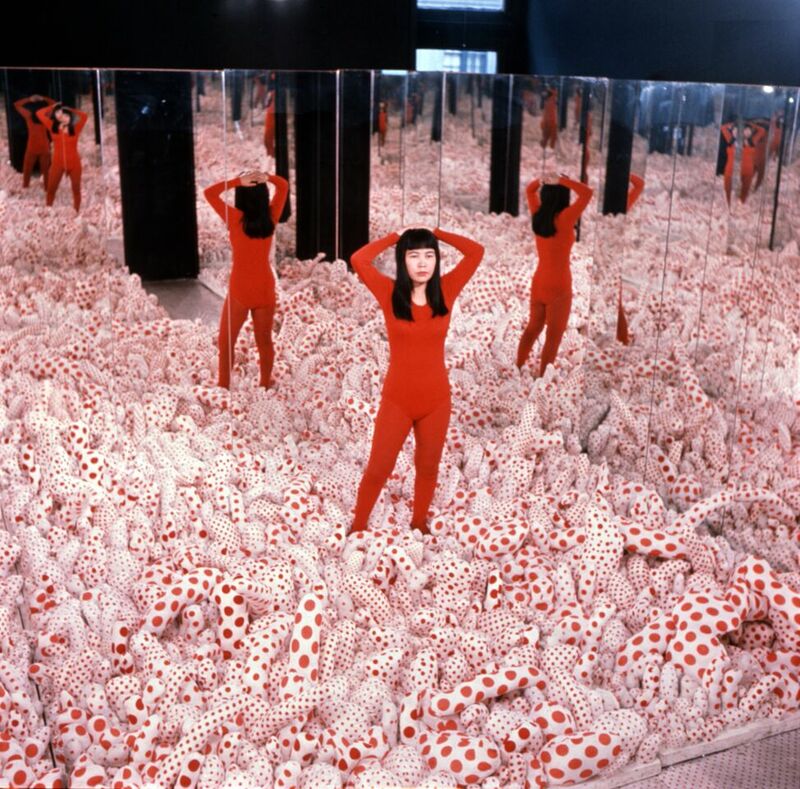 Kusama also has struggled with mental illness throughout her life. In the early 1960s, she brought her repetitive style to a new medium, soft sculptures, while tapping her life experience from WWII. “During the war she was working at a parachute factory sewing military uniforms, and that’s how she developed the technique to sew those soft sculptures,” Yoshitake said. The soft sculptures also appear on the floor in her first Infinity Mirror Room, Phalli’s Field, which debuted in 1965. “She began to have hallucinations, and her work was really about catching up with those visions she was having. So you’ll see one motif just exponentially accumulating,” Yoshitake said. “The way in which these mirror rooms kind of came about was that her physical capacity to be able to create infinite repetitions of these objects, it just didn’t keep up with her desire. And so she was able to find mirrors as a device to activate her vision,” Yoshitake said. 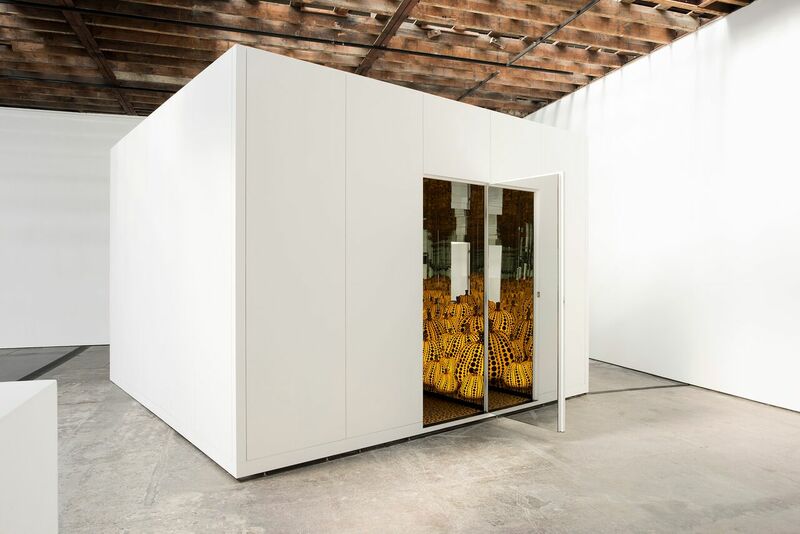 The mirror rooms have captured many people’s attention, particularly with this traveling exhibit. Museum officials have prepared for 100,000 people to come through. While many tickets sold in advance of the opening, the museum will release some tickets weekly (online and by phone) on Mondays throughout its run or until it is sold out. Visitors reserve timed tickets, and the time inside the mirror rooms is limited to about 30 seconds. Inside the last mirror room in the exhibit, the Obliteration Room, visitors become artists, too. “Everything is painted completely white, and every visitor is given a set of colorful stickers… and then is invited to basically leave those stickers somewhere in the room. 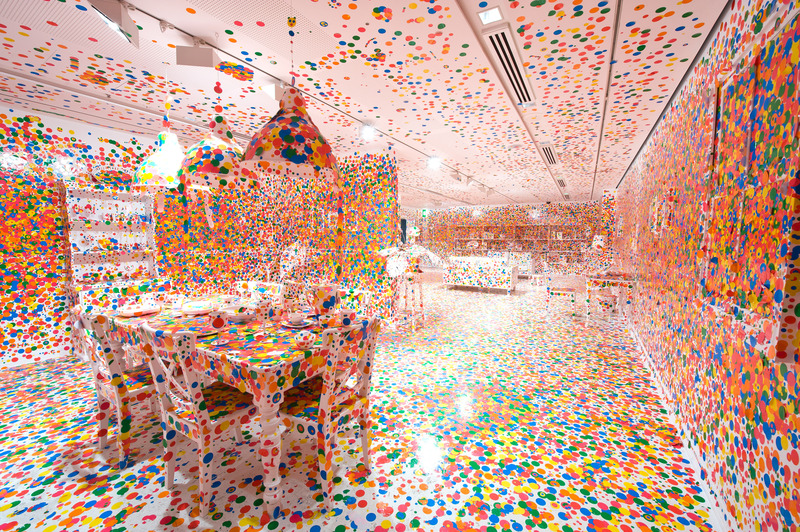 So over the course of the exhibition the dots will accumulate and will eventually cover the entire room,” Thüring said. It is yet another way to connect with Kusama’s vision. “Yayoi Kusama: Infinity Mirrors” is on view Saturday through September 30. 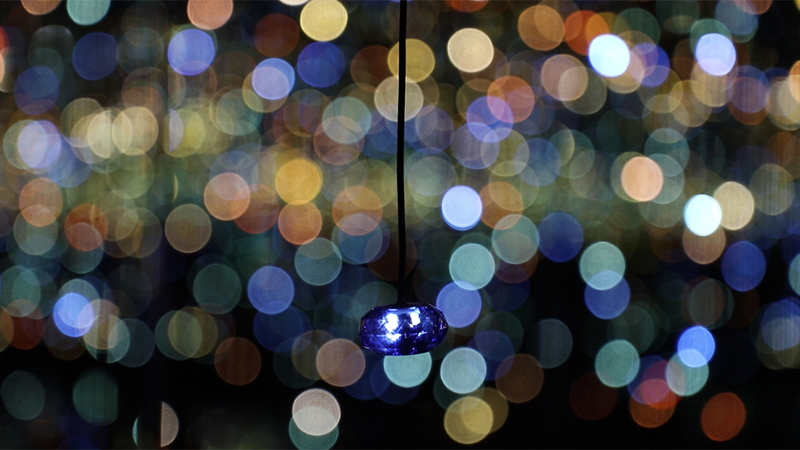 “Kusama – Infinity,” the documentary by Heather Lenz, is set for U.S. release September 7 and first screens at the Cleveland Museum of Art’s Gartner Auditorium on September 14 at 7 p.m. Lenz will also answer audience questions after the film showings on September 21 and 22 at 1:30 p.m. Multiple additional showings run at the museum from September 21- 30.